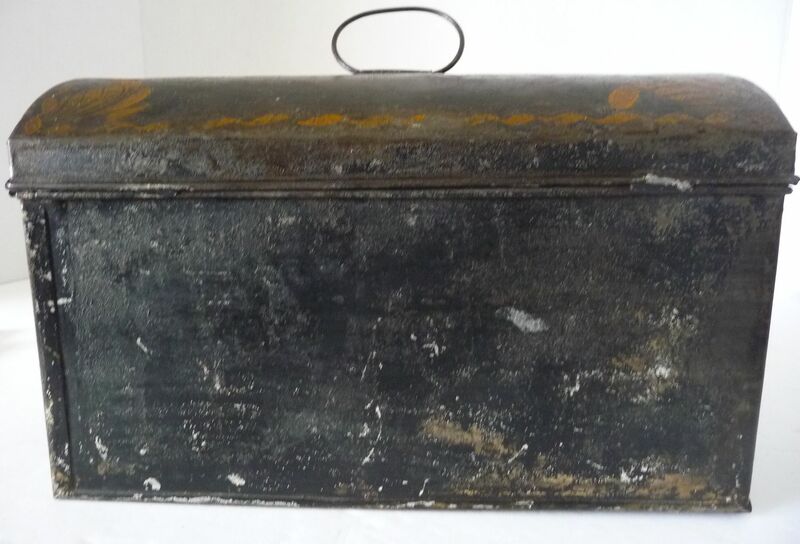 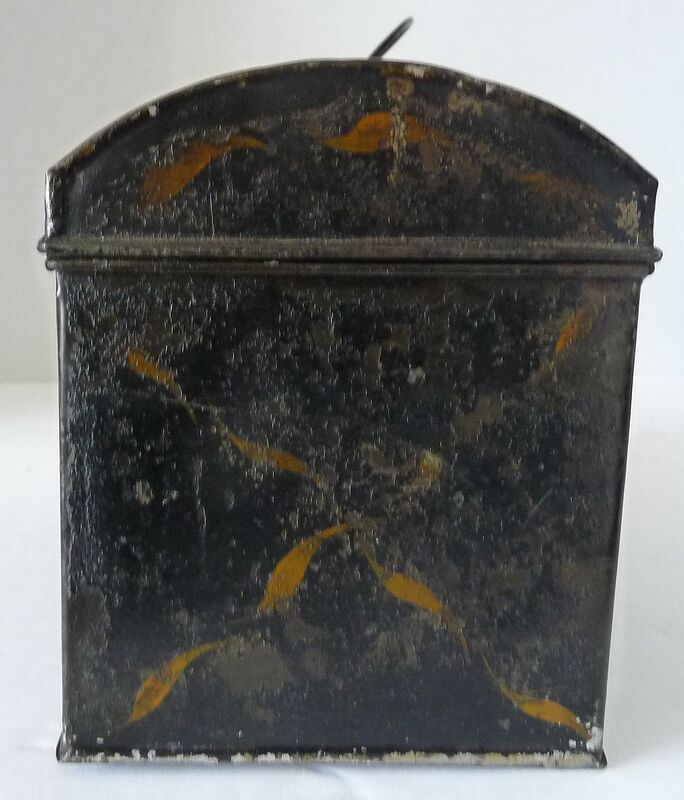 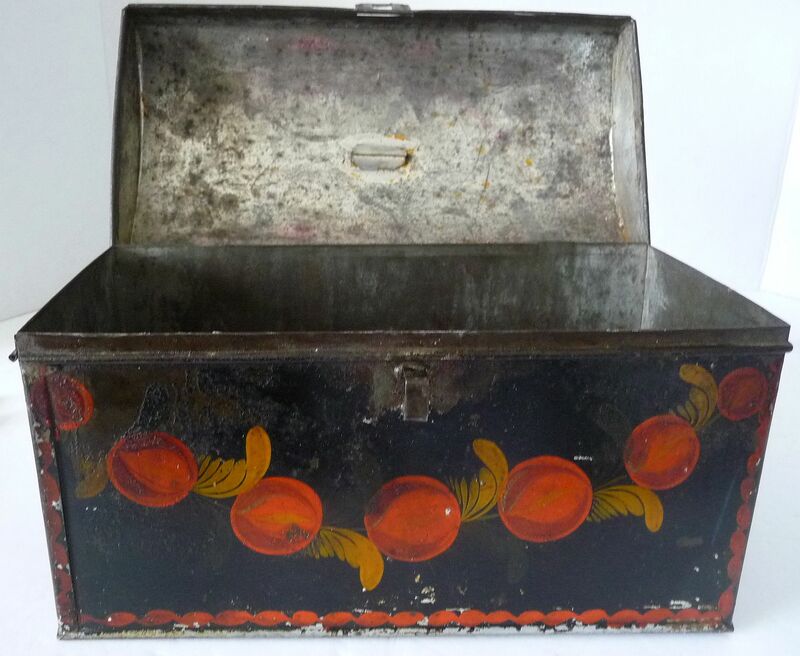 Mid 19th century paint decorated tole document box. 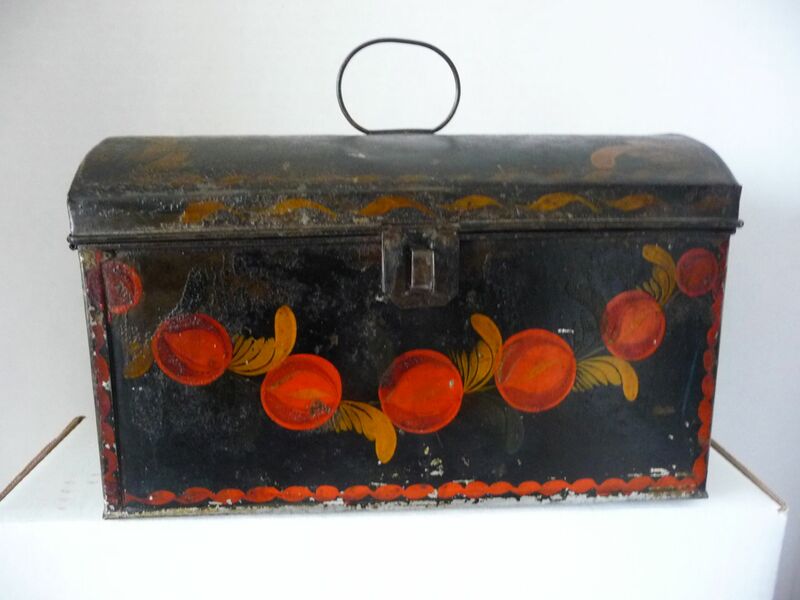 The original polychrome folk art decoration on the front of the box in hand painted red & gold on a black background (perhaps apples) is colourful and appealing. 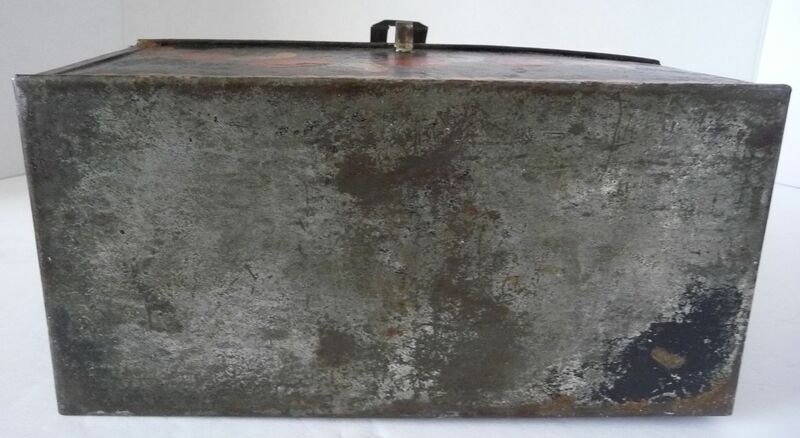 There is no obvious evidence of an Asphaltum ground. 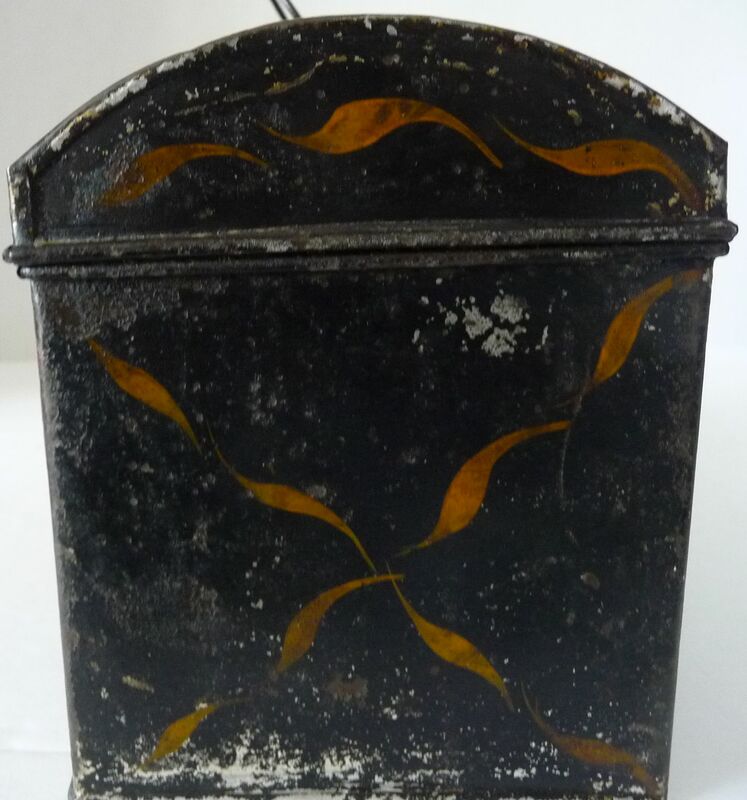 Approximate Dimensions: Width 9" Height 5 1/2" Depth 4 1/4"